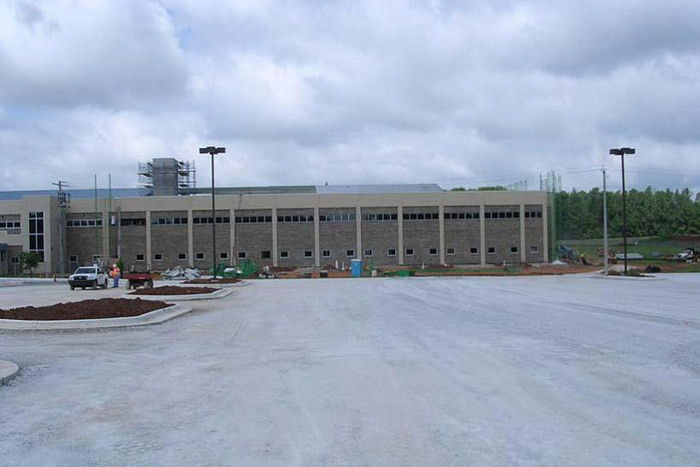 PWM was responsible for all aspects of site design, including grading, drainage, stormwater management plan, bio-remediation, parking, hardstand and SPIRIT (USACE equivalent of LEED) for the US Army Corps of Engineers Phase II of the System Software Engineering Annex (34,000 SF) , a laboratory and office building, located on Redstone Arsenal. PWM was integral in preparing the master plan layout for incorporation of future buildings and parking, along with bio-remediation for future parking areas. The bio-remediation for Phase II was an expansion of the Phase I pond and required extension of under drain system and initial storm routing. Coordination with USACE, ADEM, and Redstone Arsenal Garrison were all required throughout the approval process.